Feb 23 "I Have a Strong Desire to Feel Supported and Feel Like I Belong." Sound like you? Me, too. 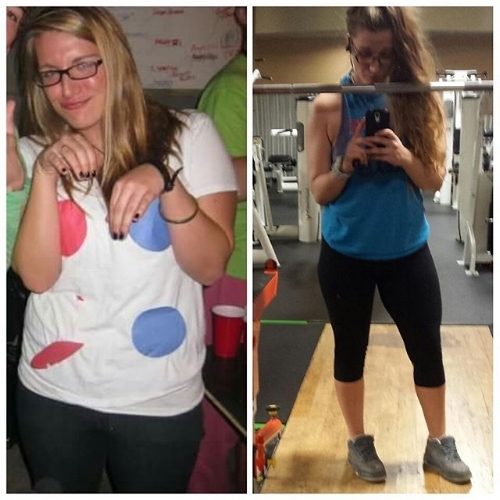 When I began my career in fitness, I essentially crawled into the gym for my first day after spending a week drinking on the beach to celebrate my college graduation. I knew I was passionate about wellness, about how our bodies move, and about how things fit together. I knew I wanted to walk out a journey as a person much like the average gym goer: not looking to compete in a physique show or be the next great Crossfit sensation, but just looking to look a little better, feel a lot better, understand my body, and have more confidence. But I’d argue that my career choice, at least initially, was as much to heal myself as it was to help others (moderately selfish, I know. ), finally putting into practice all the facts and theories I’d learned over years of studying health and exercise, hoping that using them practically would finally make it all make sense. Because I’d tried a lot over the years, probably much like you. I’d played sports much of my childhood and adolescence, but just listened to a coach and never really broke it down for myself or understood why what worked worked and what didn’t, well, didn’t. I had a mother who was tall and thin, essentially the opposite of my body type, ascribing to every diet under the sun, usually only eating one meal a day, first telling me that fat is bad, then carbs are bad, contributing, along with society at large, to the ideal that at least one food-related thing at any given time is up for demonization and is the cause of all of our woes, and, in the process, destroying my relationship with food (and with my body). I went to college and abandoned most sports (unless you count case races), hoping that running a mile or three most days and hating my body would will it to be waiflike like the girls on campus smelling Olive Garden and counting that as their daily calorie allotment (I also drank my fair share…or 3-4 people’s fair shares…of beer, so, you know, didn’t really take to heart that all the desires in the world won’t overcome the work it takes to heal our relationship with food/drink.). I grew up thinking that if only I were thin enough, my relationship with my mother would be healed. If only I were full enough, my relationship with pasta would be “normal.” If only I were good enough, my relationships with my friends would be deep and lasting. Until I went through some life trauma, because, we all know how that works: when we ignore the obvious message our wise, magical intuition is subtly trying to deliver to us, she’ll stop us dead in our tracks. In 2013, I found myself seemingly alone, re-evaluating pretty much everything I knew to be true about myself and my life and my values. You’ll never hear me say that I’m unhappy for it, because it made me a much better, much more connected, much more grateful, much stronger woman. But the road was rough. And often in the rough times, we’re introduced to the strongest version of ourselves. I returned to my roots: as a child, until I went to college, I was a swimmer. There’s something about repetitive activity that is meditative for me. I remember staring at that black line for hours on end (I was a distance swimmer, so, literally hours), and often during practice, I’d have an epiphany about some high-school-level relationship problem or finally figure out that math set I’d been trying to solve. And, during the most traumatic time in my life, I craved that feeling: the feeling of letting my body work and allowing that to quiet my brain so it could put the pieces where they were supposed to have been all along. Weightlifting delivered. For the first time in my life, I knew I was in control of something. The results may not always be linear, but the iron will never lie to us: 20 squats are 20 squats. 200 pounds is 200 pounds. All day, every day, twice on Sundays. Yes, yes you do (fast forward to 2:27 if you’re into Justin Timberlake as Robin Gibb). I may have initially entered fitness in the hopes of looking like Adriana Lima one day, but for the last 4+ years, my goals have been edited to not so much look like Britney Spears (that mama is shredded, in case you haven’t Googled recently) but to feel like Wonder Woman. The consistency required to get strong delivers that feeling, if not with each workout, certainly over time. When we show up, even when it’s hard or raining or happy hour, we show ourselves that we’re worth it, that we believe in ourselves, and that we actually are the person who takes care of their bodies. We transform from the girl who let things happen to her and ate things that didn’t make her feel good and ran to pay nutritional penance into the woman who creates her life and understands her body and nutrition and engages in activity that connects her to her purpose. I don’t care about having six-pack abs, but I want to feel comfortable in my clothes. When I go shopping for new pants, I don’t want to worry if each store will actually carry sizes big enough to fit me. When I sit down, I don’t want my belly to hang over my belt and leave a red mark that stares at me when I stand naked in front of the mirror at the end of a day. I want to know that if I happen to be running somewhere without my shirt on people aren’t going to be disgusted by seeing all my fat jiggling. When I fly on a plane, I don’t want to be that big, fat guy that takes up too much room. I want a tribe who understands that. I don’t care about bullsh*t fads or super science-y fitness jargon, but I do like learning new things. When I’m introduced to a new exercise, it feels great when I can learn it quickly and have some success on the first few tries. So skip the super advanced stuff you just learned last weekend and feel free to never teach me anything that requires more than a three-step learning process. Let me learn by doing, rather than talking me through every painful detail of proper biomechanics. I promise I’ll get better at it–just let me get started. I want a tribe who teaches and learns like that. I don’t care about getting laid and working out with superhot fitness models, but I do value being part of a community. I have a strong desire to feel supported and feel like I belong. If that sounds like you, and you're looking for some extra guidance, fill out the form here, and let's chat. I have online coaching spots available for the coming months, and I'd love to help you get more in tune with yourself, get bigger, and feel stronger. PS- I'd probably be slacking if I didn't include this. We're all on a journey, and sometimes that includes parties where you dress up as Twister because every costume is supposed to begin with the letter T, and sometimes that includes squats and cut-off T-shirts. Feb 28 Read This Before You Get to Work on Your Next Goal.